Rebellion announced that Strange Brigade, the highly anticipated co-op adventure game set in the 1930s, will be released on August 28th of 2018 for most major platforms. In Strange Brigade, gamers will venture into a dangerous African safari where no man dares to go. As the game progresses, players will discover forgotten civilizations, and unravel mind-boggling mysteries. Additionally, Strange Brigade integrates a creepier aspect into the gameplay by sending players into eerie tombs haunted by mummified evil. Strange Brigade takes place in 1930s Egypt where an army of mummified monsters has been set to devastate the world. A team of four players works together in cooperative combat against evil forces. Every member of the four-man team will have their own skills, weapons, and tasks. In addition to the epic battles, gamers will also solve intricate puzzles and avoid creative traps. 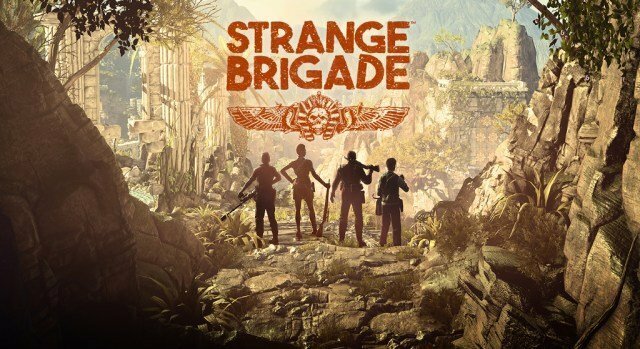 Additionally Strange Brigade has a wave-based combat style much like “Call of Duty: Nazi Zombies” in which four players need to fight off a certain number of monsters before progressing to the next level. However, groups do not solely rely on their marksman skills to advance through the story, but also depend on strategy and puzzle solving skills. The semi-open world has plenty of areas to explore, and most gamers will adore the well-polished maps and optimized graphics. For fans of wave-based survival, puzzle, adventure and shooter games, Strange Brigade is right down your alley. Rebellion, the team working on Strange Brigade are not entirely new in the game development business and already have several known titles under their belt. They are the team behind highly critically acclaimed titles including games such as the “Sniper Elite” and “Alien vs. Predator” series. The exciting announcement came alongside the release of the new Strange Brigade story trailer, and it looks epic. As of now, Strange Brigade is available for preorder, and expansions such as extra weapons can be ordered separately or with the digital deluxe edition. Strange Brigade will be released for Xbox One, PlayStation 4 and Microsoft Window platforms in August of 2018.